How can the little guy on a budget get some juice? 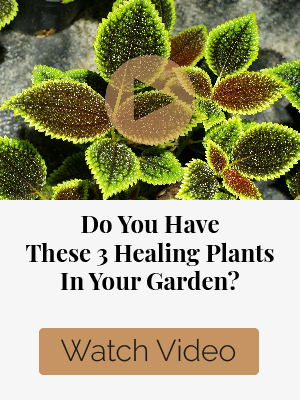 There are an abundance of ads on survival blogs promoting this or that new solar generator or whole-home solar installation for thousands or tens of thousands of dollars. 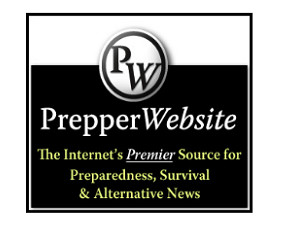 That’s great for the minority of preppers who can afford them any time soon, but what about the majority of hardworking folks preparing on a budget? Don’t throw in the towel on your desire for energy-independence just yet. 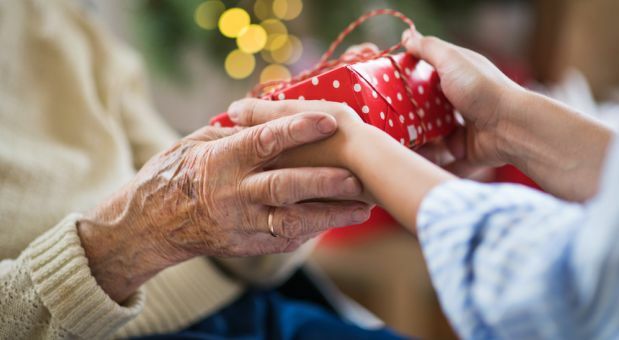 Here are a few options you may be able to afford sooner rather than later, while you save up for the larger toys. 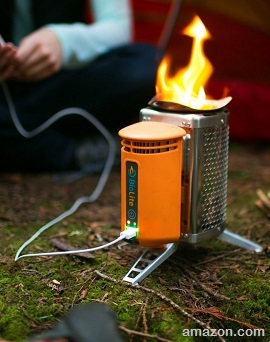 Biolite makes a packable wood-burning stove that converts the heat from your cooking fire into electrical energy to charge USB devices. I had high hopes for a product called FlameStower – $94 that did not integrate the thermal generator and stove, which would have allowed the user to use a greater variety of stoves, including gas stoves. 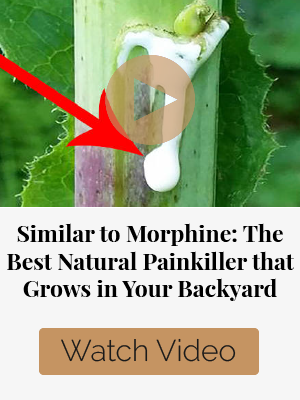 Unfortunately, I can’t recommend that product for most users as it just was not up to snuff. But BioLite makes solid product and hopefully they will include such a device in their line, improving on the shortcomings of the aforementioned great idea that flubbed in implementation. Let’s say you make three 20-minute fires per day to do your cooking. 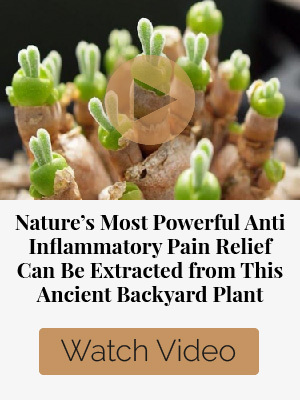 That would give you approximately three hours of talk time on most smartphones while economizing use of wood fuel and obscuring most of the visual signs of a campfire. Not a bad trade off. When buying a computer, it often does not make sense to buy the last generation because the newer generation may be many times more powerful, but this does not hold true for solar technology. I’m using a portable Gen2 solar array that I bought over 10 years ago and it is maybe 25-20% less efficient per it’s weight than a Gen3 solar panel. If we were talking computers, more than one generation would have passed in 10 years, but innovation in solar technology moves slower. Buying a discontinued solar array at a 50% discount actually makes a lot of sense. So, what kind of deals can be found using this reasoning? I have bought many discontinued, but brand new Brunton brand solar products at deep discounts through a company call Botach that sells law enforcement and outdoor gear. 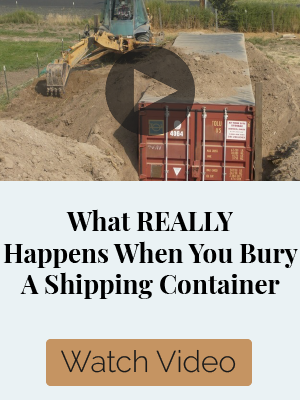 I will pass on my go to supplier in hopes that it will save you some money. But you may know of other outlets that heavily discount discontinued solar gear from other reliable manufacturers. If so, it’s not the supplier that is important. It is the deep discount and the quality of the product. Output is 12v, 9000mA in full sun so a panel like this can charge hand held or even mobile radios, cell phones and most other small electronics via their car chargers. The panel is weatherproof, but connected equipment is not, so don’t use it in the rain, but rain would not harm the panel. At 9.2oz and 12′ x 40″ it can easily be rolled up and packed in a backpack. You can even hang it off the back and charge devices while you walk. With the addition of a charge controller, it could also be used to charge a 12v Gel Cell Battery (or even a car battery) without risk of overcharging if left in the sun too long. It it wouldn’t be able to give most car batteries a full charge in one day of sun, but it certainly could keep one topped off for emergency communications. There are car batteries all around you. A charge controller runs around $15-$30, so that makes this type of panel a very attractive option whether you shelter in place or bug out. I use a 26-watt folding array that is similar to this, only foldable instead of rollable and more than double the power. I swapped the connectors over to Anderson PowerPole connectors to cut down on the amount of cables and adapters I need, but this is a serviceable product at a bargain price and 27 are in stock as of this writing. 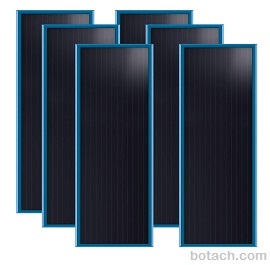 Brunton Solarflat 5w, 24v Panels, Set of (6) are $99 down from $516 on Botach’s website right now (link here) and they have 34 sets in stock. I am calling this a DIY project because there is some assembly involved and you still need a battery, a charge controller and maybe an inverter to get the solution up and running. 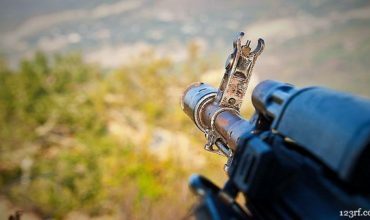 But it is really more akin to plugging in a computer to a monitor, keyboard and printer or assembling a component stereo system than what most survivalists think of as a DIY project. 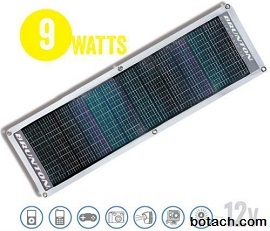 Botach also has a 15w, 12v 6-panel array for $250 marked down from $1,200 with 49 sets in stock. That would output 90w at 12v for much less than I bought a 26W, 12v folding array for 10 years ago. You can build a system that does everything a $2,000-$3,000 system does using that array. You will just need a battery, an inverter (if you want output 120V AC as well), a charge controller. Let’s say you bought a $200 deep cycle Optima 12v Marine Battery, a $50 charge controller and some wiring. Your total cost for the project would be around $400-$650 depending which panels you use and whether you need an inverter for 120v AC. If you want it to be portable, mount it in a box and throw it on a $20 folding Magn-a-Cart. It won’t look as pretty and will be a little heavier, but you would save yourself $2,000. For many folks, that is the difference between being able to afford it or not. During the apocalypse, I would rather have DIY solar array I can fix if a component dies than some proprietary black box I have to send to a manufacturer that is no longer in business. If you aren’t sure how to set it up, how much is your time worth? 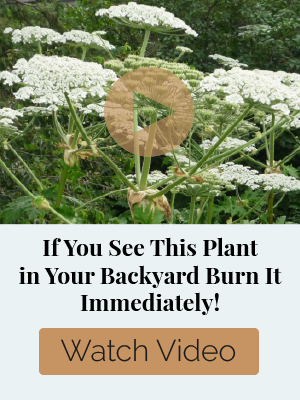 It is very likely that most of you could do this with an Instructable or YouTube video on building a small solar array and this will both save you some serious cash and ensure that you could fix your solar array if you had to. If you still aren’t convinced you can do this, then barter for the labor with a friend who can. You shouldn’t have to look very far. Start at your local amateur radio club. Tell them it is to power an amateur radio. You should have one of those anyway and you can get a brand new one for $25 now, so there is no excuse not to. In any case, they are used to doing this to power radios and it is against the law for them to charge for their time in support of amateur radio. Keeping your cell phone in business is important. It is a potent survival tool you likely always have with you and satellite messenger/PLB (Personal Locator Beacon) products like the DeLorme Explorer or radio products like GoTenna can keep your phone communicating even in the grid and cell towers are down. 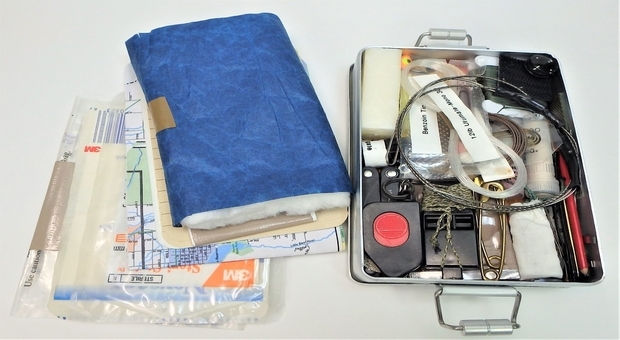 Store your backup electronics in a Faraday bag and you have a survival library, personal computer, photos for insurance, family photos, scans of important documents and everything else you need safely encrypted and at your fingertips. There are a bunch of products in this category. For $40 or less, you can buy a battery pack that charges small USB electronics with a built in solar panel. The form factor, battery capacity and solar panel wattage vary and some have higher output USB ports, intelligent charge selection features, but the concept has remained pretty static for many years now and these devices are very convenient. I bought a discontinued model for a bargain and have tried a couple of different models. The main thing is to check out the product reviews on Amazon or another site you trust first and select the features you need. 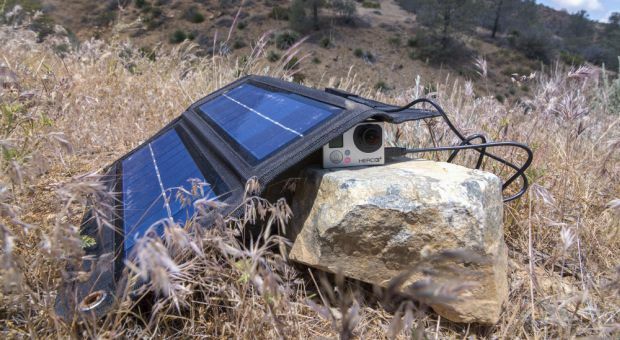 A more powerful solar panel will charge it faster and an attachment point to hang it from a pack is a plus, but if you read enough reviews first you can’t go too far wrong on a $40 product. That would be our some of choices. What would be yours? I have two portable devices that generate electricity. One has the Coghlan’s name on it. It can be charged by a micro USB charger, by a solar cell built into it, or by a hand crank. It can be used to charge a cell phone, etc. and it has a built-in LED flashlight. The other it called a HybridLight, and can be charged by a micro-USB or solar cell, can charge a phone, and has a LED flashlight that can also be easily opened up into an area light. It has a fold-out hook that allows it to be hung from something. It’s also waterproof with the micro USB and USB port cover closed. I’ve used both when camping, and they worked well. What is a FARADAY BAG! How can I get one or can I make one? A Faraday bag, or box, is a container that should shield your electronic items from the effects of an electromagnetic pulse (EMP) or a coronal mass ejection (CME or solar flare). Either event, the first of which could be caused by a nuclear device and the second of which is a natural occurrence, has the capability of destroying the circuits of anything electronic, depending on how strong/close it is to your location. Faraday bags are available for purchase from numerous sources, including many “survivalist” websites as well as from Amazon. Google “Carrington Event” for more info on a CME. To get a realistic idea of what our world would be like after an EMP, I recommend you read the book, “One Second After”. It’ll scare the pants of you and get you thinking about getting prepared. This is a false statement: “In any case, they are used to doing this to power radios and it is against the law for them to charge for their time in support of amateur radio.” Amateur Radio operators are not allowed to charge a fee for using their radio for public service. There is no law against charging for technical assistance or repair services. 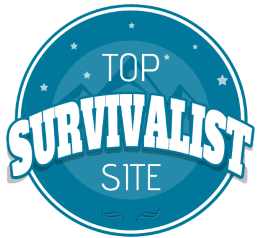 Great article we also reviewed some great power sources on http://www.survivalgear.guru that are worth checking out. I just wonder how long solar run last longer ? If you’re asking about how well solar will do, it depends. The performance of photovoltaic solar panels can be quite dismal, as they only put out their nameplate rated output 3 to 6 hours a day…assuming no clouds, low humidity (yes, even with no clouds, humidity reduces solar radiation that reaches the ground), no fog, etc. Output also depends on the time of year and distance from equator. And the solar panels mentioned in the article have a low output. Most mentioned put out a mere 30 watts or less, with the lowest being a dismal 9 watts…meaning a long charge time for not much run time for electronics. The highest output mentioned is six-15 watt panels totalling 90 watts…except no mention is made of the size and weight. Which is an important consideration in a bug-out situation, where such things as size and weight need to be considered when packing. And another consideration is where the solar panel or panels are placed. If you’re in an area where there’s lots of trees, you’d need to find a patch of ground where there’s enough sunlight for enough daylight time to make the best use of a solar panel or panels. Which isn’t always practical, especially if you need to stay hidden from others. And since trees help provide shelter, firewood, food (nuts, squirrels, etc. ), it’s probably a good idea to be under or very near trees. Solar panels would work better in the desert. Looking at a solar radiation map of the USA, it’s not the “Sunshine State” (aka Florida) that’s the most ideal for solar radiation. It’s the area of Phoenix, Arizona (more sunlight and low humidity). But how long could you survive in desert conditions, with little water, little firewood, not many food sources, and even more so during blistering summer heat? I’d rather be where trees are, even if it means less solar panel output.